Insiders on the rise are not discouraged by humble beginnings; they know how to start small and finish big. 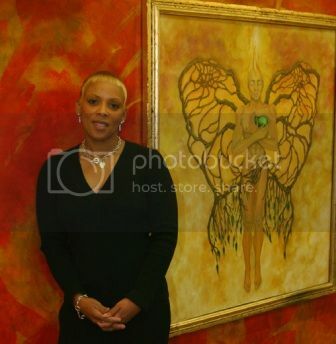 Monica Haslip, Founder/Executive Director of Little Black Pearl Art and Design Center (LBP) and Options Laboratory School (OLS), began LBP in her basement, then moved her growing nonprofit into a former liquor store and eventually into state-of-the-art, 40,000 square foot facility. Ms. Haslip, along with her dynamic team, strive to nurture African American youth on the south side of Chicago by empowering them to design successful futures through the arts and entrepreneurship. Never daunted by great challenges—or at least not for long, Monica has recently opened OLS for off-track (at-risk) youth with limited options for their futures. Founded on the belief that education is liberating, Options Laboratory School (an arts and technology-based charter school) offers its students the tools to chart their own course, true freedom. Read on to learn how Monica combined her passions for the arts and at-risk youth, thinks herself successful and overcomes challenges. Where did the name Little Black Pearl come from? The name represents my personal view and description of black children: beautiful, precious, unique, exquisite and one of a kind. Both you and Little Black Pearl Art and Design Center have humble beginnings, you a young woman from Alabama and Little Black Pearl started in a basement. How did you manage to successfully bootstrap your career and your nonprofit? What did you do mentally? What did you do? What did you not do? In my career and organization, I always implement the three “Big P’s”—Prayer, Persistence and Perseverance. I often share my story to highlight both the challenges and successes in an effort to demonstrate the fact that there will always be hurdles to jump and on occasion, we may fall while pursuing our goals; but the value is in the lessons learned, and the grace we display while getting up and the courage we have to keep moving forward. I prepare myself mentally everyday to embrace my own journey. Mental strength is just like physical strength—you must exercise your mind focusing on positive outcomes even when faced with challenges. Each day I say an affirmation aloud: “I am in stride with the upper progressive movement of life and the mark of success is upon me,” and so it is. During the development of LBP, I approached all the challenges throughout the years with the same zeal and passion as my [business] successes. I learned to appreciate the process of finding resolutions rather than being paralyzed by the problems. You have been passionate about art your whole life, but you decided to pursue a career in the corporate world before you decided to follow your passion. What was your tipping point? My tipping point was realizing that I couldn’t allow my disenchantment with disparities in the art field to shape my vision for what was possible for me or any other African American who had a passion for art. I often struggled with the fact that during my formative years when I was formally introduced to art—I wasn’t taught much about the contributions that African Americans had made to the field of art. As a result, I couldn’t see myself being successful as an artist because I hadn’t been exposed to the extraordinary work that my culture had contributed. As a young adult, I researched and explored the work of African American artists and was filled with pride and possibilities. I realized that my experience wasn’t unique and I could potentially have a positive impact on an African American child’s life by simply exposing them to art and the contributions that African Americans have made to the industry. Learning about people of your own culture who are successful in the industry that you are dreaming of pursuing is a critical element to building the self-esteem necessary to encourage young people to follow their dreams. Little Black Pearl Art and Design Center not only provides students with an arts education, but with entrepreneurial skills. Why is this important to you? Do you think the “starving artist” concept is harmful? Nationally, the nonprofit art and culture industry generates $166.2 billion in economic activity every year. We should continue to encourage our youth to see art as a viable professional opportunity. I believe that African Americans are blessed with innate creative talents. The notion that African Americans with the God-given talents should not learn to market their work for themselves and their community is unfair and unreasonable. African Americans’ must define the value of their art for themselves, and feel confident in shaping the worlds’ view of their approach to earning revenue from their art. What do you think the exposure to the arts does for youth who live in the inner-city? I think the exposure to art for youth living in the inner-city opens up a whole new world of opportunity for them. It broadens their thinking and expands their possibilities. What advice would you give an artist who wanted to pursue his/her passion and make it a career? Never let anyone tell you that you can’t do it—prove them wrong! For more information about Little Black Pearl Art and Design Center, visit here, and for more information about Options Laboratory School, visit http://www.optionslab.org/.